For what it’s worth, I may have gotten them in the ground a bit late (spring bulbs were already 50% off at the big box store) and they were started from a box of 1″ bulbs vs smaller seedlings/starts. Also, I’m probably in Zone 6b and the garden is in part shade. I am (successfully enough) growing tomatoes peppers and ground cherries in the same space though. The question is about the tops falling over/gauging doneness. Mine started falling over as soon almost as soon as the greens appeared and well before any of the bottoms had started to “bulb up.” Could this just be a side-effect of non-ideal light conditions…or of it you have any other ideas. 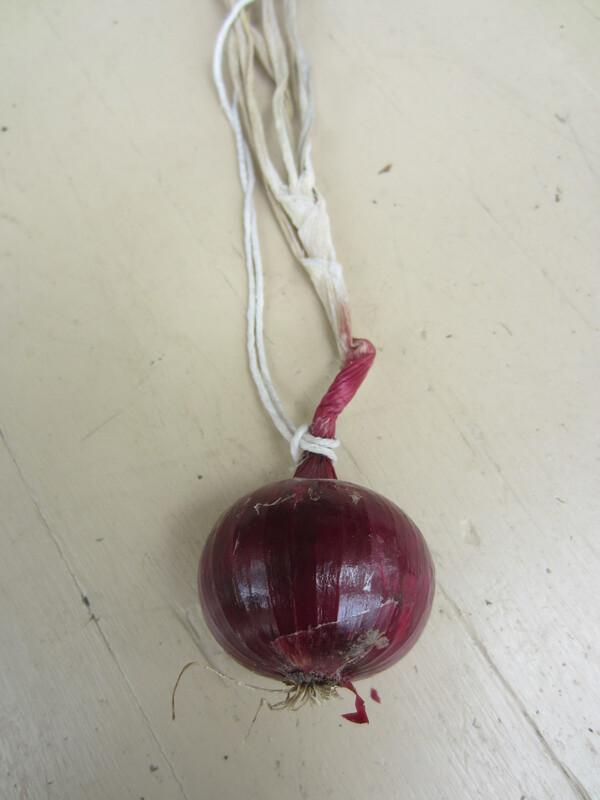 So far, I’ve just been pulling an onion every so often to check progress. Am I already off track, or is there another way I’ll be able to gauge “doneness”? 🙂 Thanks! Matt, you really got off on the wrong foot with onions this year. If I was planting sets I would strive to get them in the ground as early in March as I could. Also, I would want to plant sets that were no more than 3/4″ in diameter. All that affects your harvest. 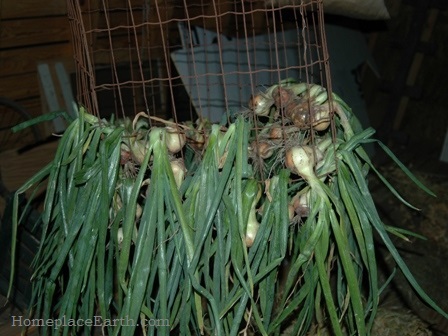 Follow the link in this post to my earlier post on onions, then follow the link there to the VABF bulletin authored by Pam Dawling. That will arm you with good information to be better prepared for next year. BTW, it was mid-May to be specific. 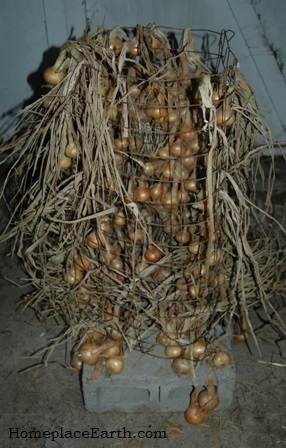 I may have over-estimated the size of bulbs by a quarter inch…but they were several times the size of the seedling/bareroot starts I see in bunches from Bonnie Plants, for example. I’ll check out the prior postings you mentioned. Since I have no idea what variety they are, it would be hard to predict their size. 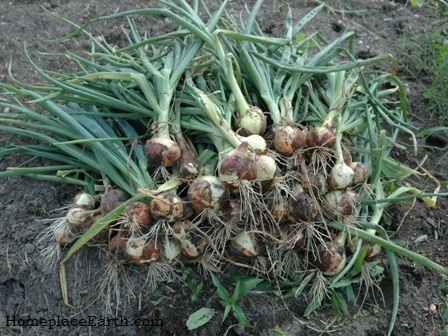 You can eat them anytime you are hungry for onions and want to pull up one. I’m still making my way through the onion document linked in your other post it’s copious and deep. Thanks a lot.